Matt joined SFP Wealth in June of 2017 as our Practice Manager of Investments. As part of the Investment Operations team, his primary focus is to establish and service investment accounts, handle asset transfers, re-registration changes, cash needs and risk tolerance changes for our clients. Matt serves as an intermediary for our advisors, account custodians and clients to ensure proper execution of all account activities. 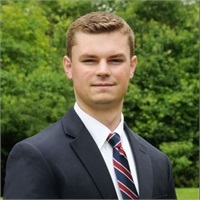 Matt graduated from the University of New Hampshire with dual degrees in Business Administration and Economics with a focus in Finance. Matt holds the Series 7 and 63 licenses. Outside of the office, Matt enjoys traveling abroad, spending time outdoors, playing soccer, hiking and running.